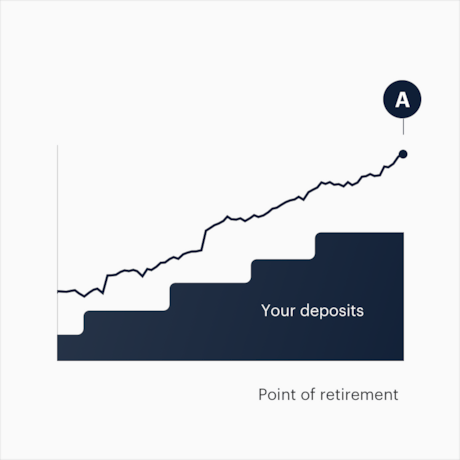 Secure all your deposits made towards your pension while investing for profit. 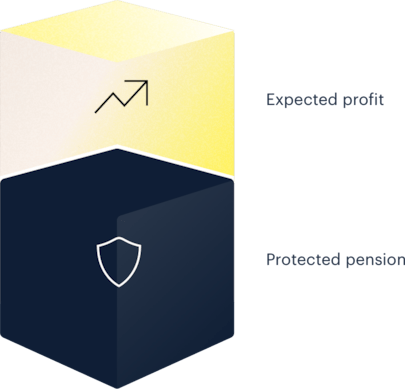 Our efforts to make you retire with profits at low risk can be summarised as two safety nets: A risk-averse fund combined with pension protection. The Vantik Fund is invested across many industries all over the world to make it resilient towards individual markets performance. 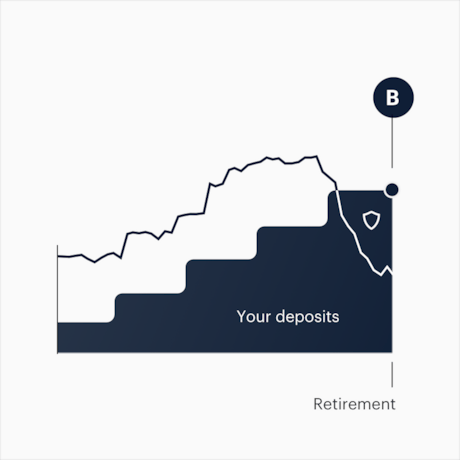 Vantik is unique in that we significantly reduce the risk of losing money at the point of your retirement. Over time, your savings are expected to grow and bring you profits. 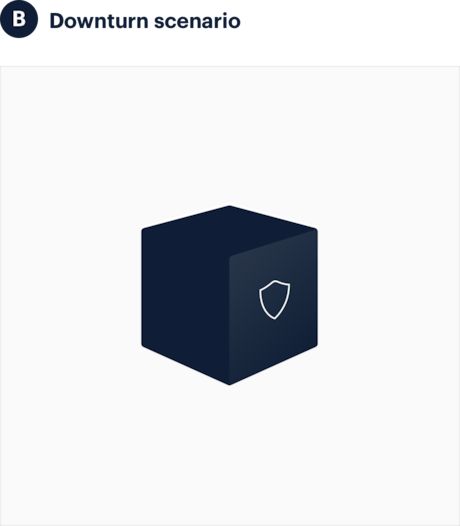 All your deposits and profits can be cashed out. Economic downturn causes the Vantik Fund to make a loss but your savings retains its worth when backed by the Security Buffer. Your deposits can be cashed out. 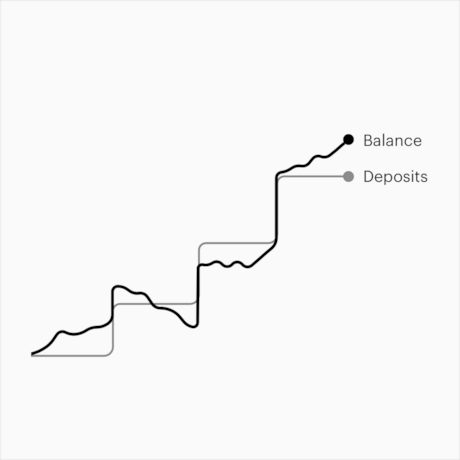 There’s a high chance, you'll retire having made profit from your deposits. For example, if you’ve contributed €10,000 and it’s grown to €20,000. The money you’ve contributed plus the profits can be turned into a retirement income. You’ve deposited a total of €10,000 but a recession has caused your savings value to decrease to €6,000. The Buffer aims to reimburse the loss of €4,000. €10,000 can be turned into a retirement income or payed out as a one-time payment. Your Vantik account works like a normal bank account in many aspects but there’s an important difference that you as a saver should understand before making deposits. When you put money in your Vantik account your balance will start fluctuating, on a daily basis. It can decrease as well as increase. Historically this movement has been an upwards trend, and this what makes long term profit possible. Protection means your losses will be reimbursed in case your investments haven’t made a neutral or positive return when you retire. 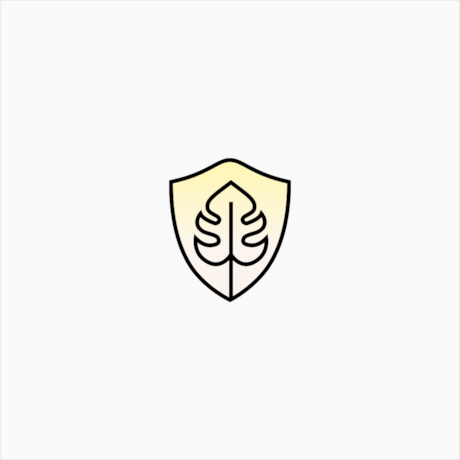 The reimbursement comes from Vantik’s Buffer and in the extreme event that the Buffer’s resources are depleted, the protection may not cover the full sum of your investments. 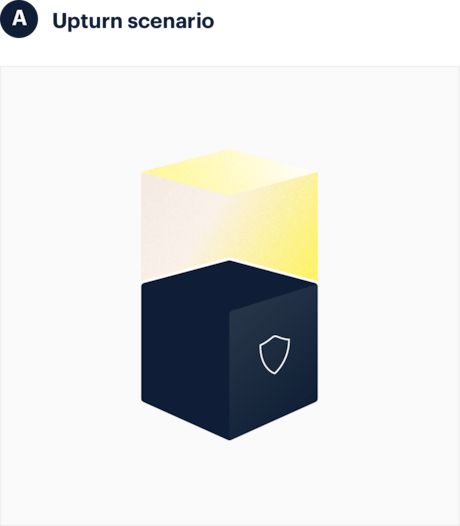 Protection costs 1% of each deposit. You only pay once per deposit. 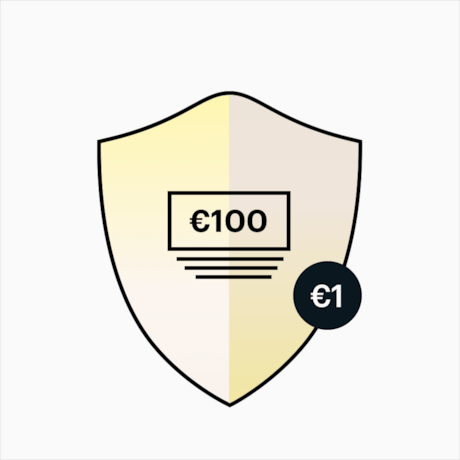 For example, if you transfer €100 to your Vantik account, €1 is transferred to the Buffer. €99 goes straight into your invested and accessible savings. The full €100 is under protection when you retire.